Several times in the last thirty days this scenario has played out on a support call when a batch posting went wrong. Me: Did you check the batch edit list for errors? Client: What is a batch edit list? A batch edit list is a report that will show which transactions (if any) have issues that would prevent the batch from posting. You get a posting error. If a batch went into Batch Recovery and did not post. You want to verify Transactions and Distributions prior to posting. 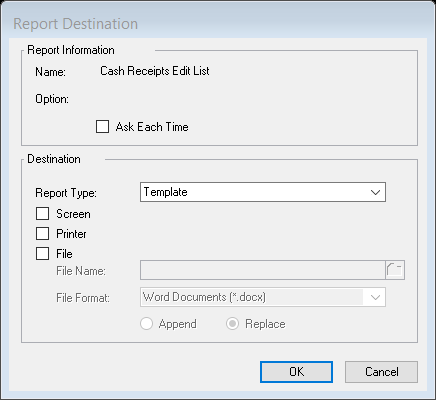 You need something to print so a supervisor can sign off when transactions have been entered. 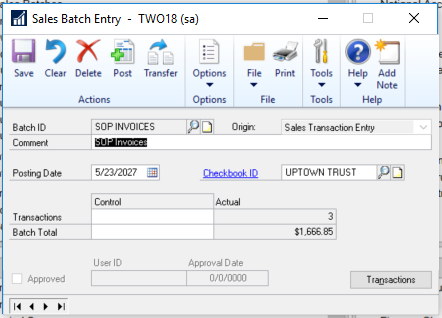 Here are the steps to run a batch edit list in Dynamics GP in General Ledger, Accounts Payable, Accounts Payables Checks, Accounts Receivable, Cash Receipts and Sales Order Processing. From the General Ledger go to Batch Entry screen and select Print. 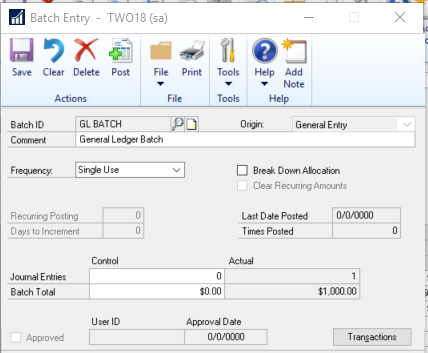 The Batch total in GL is a “Hash Total” Total of all debits and credits in a batch. 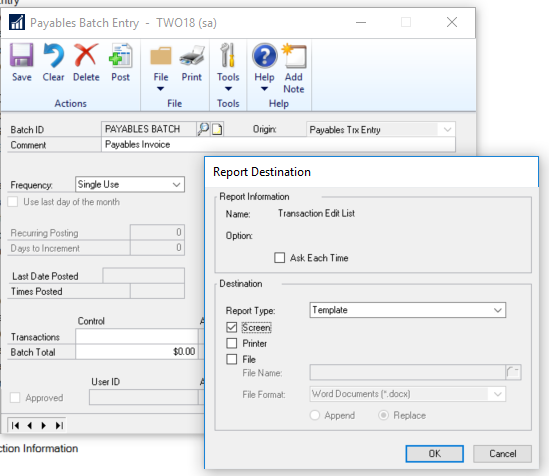 You can print the batch edit list and find out the time period for the transactions and any errors. A typical error is “Fiscal Period is closed” that will show up on the top. Why could this happen? It is the beginning of the month and someone has not opened up the new Fiscal Period. During month someone did a reversing entry into the GL of the next Fiscal Period and you have not opened the GL for the next Period. 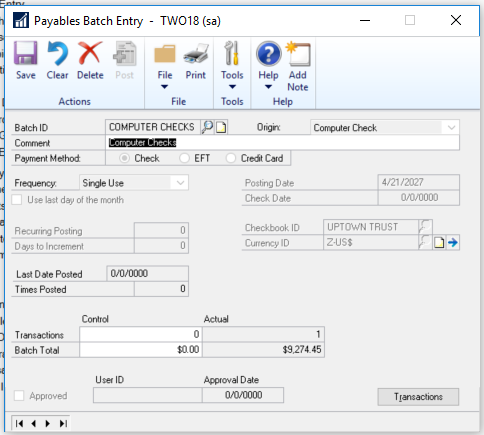 When you have entered in all your A/P Transactions, go to Payables Batch Entry screen and select Print. It will print by the voucher number and give you a total of all your transactions at the bottom. 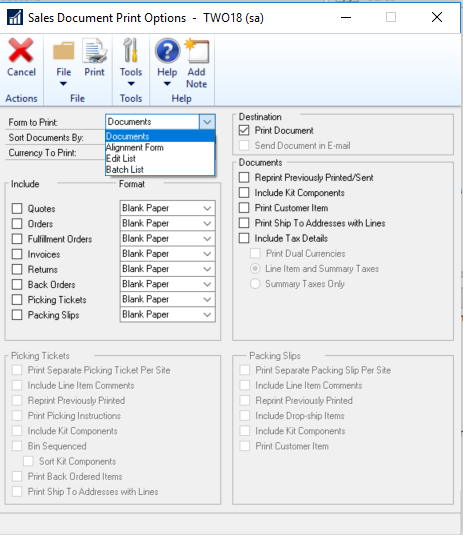 You can go to the Batch of checks and print the “Computer Check Edit List”. 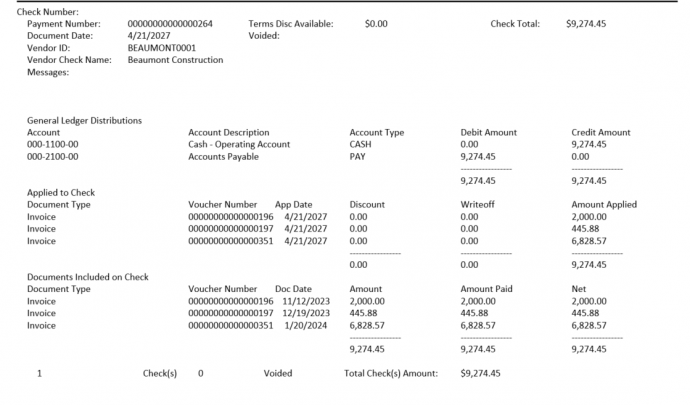 This will show you what checks will be printing and will show you if there is more than one voucher on the check. This can be especially useful if you are trying to determine if the checks are printing one per invoice. In this case, it is printing multiple invoices for a check. You can see why a batch didn’t post and look for errors. Often the account could be missing, something is not balanced or the fiscal period is closed. Again, this will give you all the details for transactions entered. This shows you Payment Received and Application of Cash. 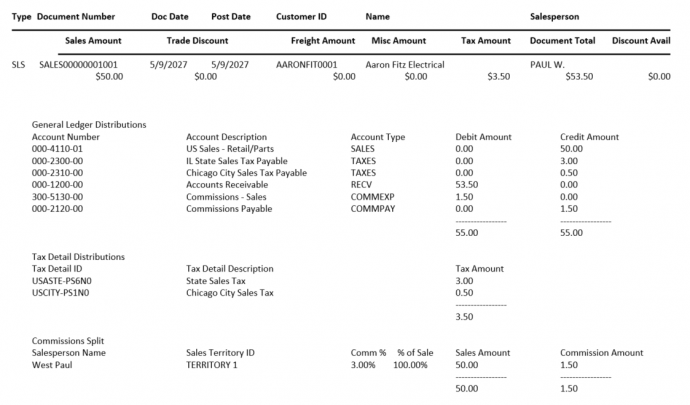 Run this report if you are trying to figure out why an invoice is not posting and it will show you the errors. If you are trying to figure out why it says 3 documents yet there are no invoices use the Batch List. Documents: Since this is an invoice batch it will print the invoice if you check off Invoices. Alignment Form: Testing prior to printing the invoice. If you print to letterhead. Edit List: Will show you all invoices in the batch. 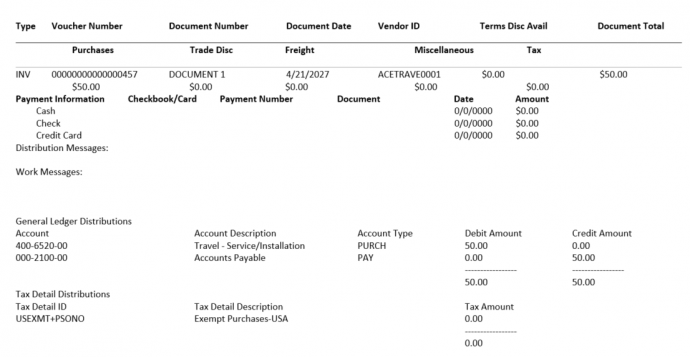 May only show you one invoice if other transactions were not invoices. 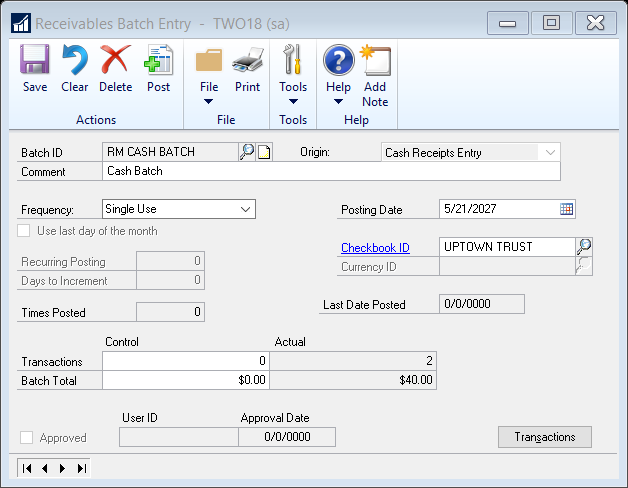 Batch List: Would show you all transactions in the batch: Invoices, Quotes, Returns etc… if all in one batch. So if you have any issues with a batch not posting, run this batch edit list, look for errors, then give us a call for support. We are happy to assist.